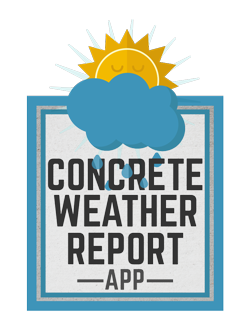 Concrete has always been a solid, long-term pavement alternative. With concrete reaching initial-cost parity with asphalt in several markets, owners are increasingly demanding consideration for this material on their paving projects. To assist designers and specifiers that recognize this trend but are not familiar with concrete paving, SNCA has partnered with the National Ready Mixed Concrete Association and the California Nevada Cement Association to provide, free of charge, detailed parking lot design recommendations including CAD jointing plans. The program can also provide a life cycle cost analysis to owners interested in determining which pavement will be the best long-term solution. This program helps specifiers deliver quality paving designs to ensure successful concrete projects. This Design Assistance Program is provided for conventional concrete projects as well as pervious, roller compacted and concrete overlay designs. For questions, please e-mail Megan at info@sierranevadaconcrete.com or call Don Vetter at 775-848-0670. How much will the service cost for specifiers? Design Assistance Program recommendations are free. Equivalent consulting services would usually cost $1,000 or more. Beyond considering the design recommendations, what else are we asking for? SNCA/CNCA requests that all design assistance recipients track project outcomes, whatever they may be. How fast will I receive design suggestions? Typical design assistance projects will be released within 5 to 7 business days. Very large or complex designs and those requiring detailed hydrological designs and calculations may take up to 10 business days to complete. What will be included in the design suggestions? SNCA/CNCA will provide its best recommendation for a concrete pavement jointing plan for the subject site, developed with consideration of constructability, long-term performance, economy, and aesthetics. 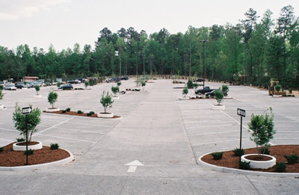 For parking lots, the following specifics apply as long as necessary project information is provided. If limited information about the project and site is provided, all these details may not be feasible to address. What feedback will I be asked to provide? The project submitting organization agrees to assist SNCA/CNCA to determine if the design assistance led to concrete paving construction or not, for whatever period of time is required to be reasonably certain of the outcome. In addition, we may contact the project design team to determine if the design suggestions were helpful in designing the paving project.